Weston Logistics, part of the Weston Group, is the latest business to take advantage of the commercial space available in Braintree. Weston Logistics has opened a new house building facility on the Skyline 120 Business Park development in Braintree. The Weston Group has a £2bn development pipeline of 6,000 new homes and its new Braintree Logistics Centre will help manage the expansion. The Braintree Logistics Centre spans 75,000 sq ft, comprising 60,000 sq ft of warehousing space, a 10,000 sq ft manufacturing and assembly workshop, and 5,000 sq ft of hi-tech office space. The factory currently houses 40 staff and once fully operational, it will provide 60 more new jobs. 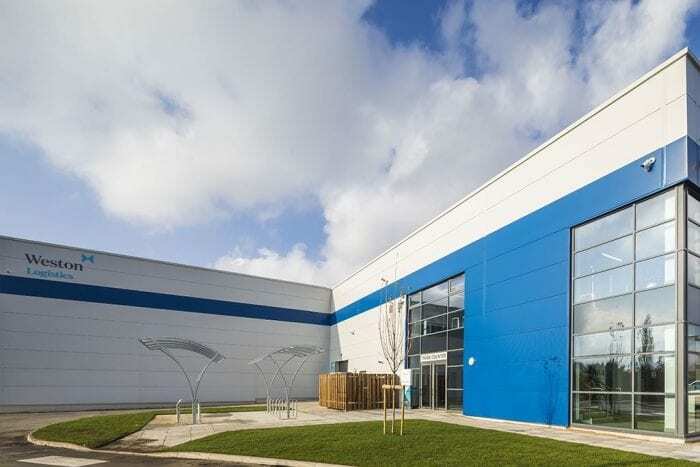 "This new Braintree Logistics Centre transforms Weston Group’s logistics and off-site manufacturing capacity and enhances our ability to control our supply chain, improve the delivery of customer specification choices and ensure the quality of the products that form the specification of the homes we sell." Another business to locate at Skyline 120 is Oadby Plastics, the UK’s leading independent plastics supplier, who recently opened their 25,000 sq.ft regional sales and distribution centre in Braintree. Over the next few years, Oadby Plastics will become the largest supplier of plastics to the medtech, food packaging and healthcare sectors in the South East. Skyline 120 Business Park offers over 40,000 square metres of warehouse and office space with easy access to deep sea ports, business parks, international airports, road and rail links. Meanwhile Horizon 120, a 65-acre site in Braintee, is the location for a brand new business and innovation park which hopes to create up to 2,000 jobs. The site offers investors the opportunity to secure well-connected state-of-the-art new premises within a high-quality environment and is expected to attract businesses from a number of sectors including professional services companies, research, digital and development sectors and advanced manufacturing. The site is likely to be of particular interest to companies working with London Stansted Airport. The park will be future-proofed by offering the best fibre-optic connectivity, Wi-Fi hotspots, electric vehicle charging points and flexible accommodation.